A spectacular accident, in which two people were seriously injured, occurred on a bend in Wainui Road just outside the 30 m.p.h. 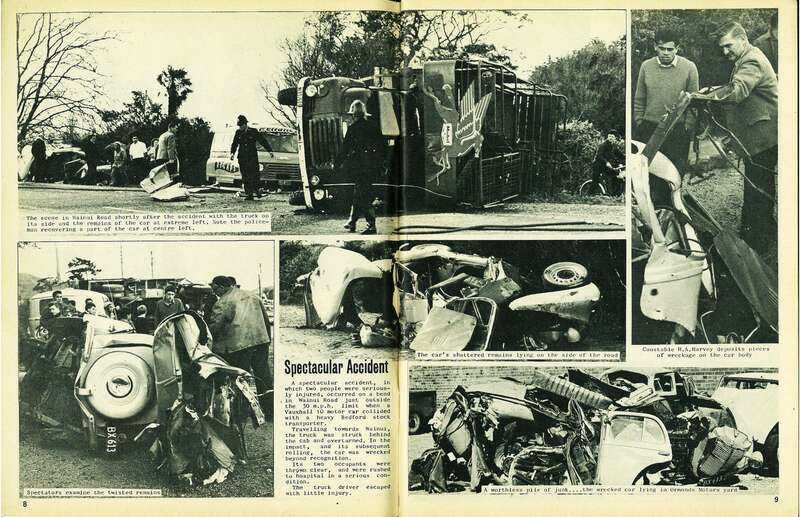 limit when a Vauxhall 10 motor car collided with a heavy Bedford stock transporter. Travelling towards Wainui, the truck was struck behind the cab and overturned. 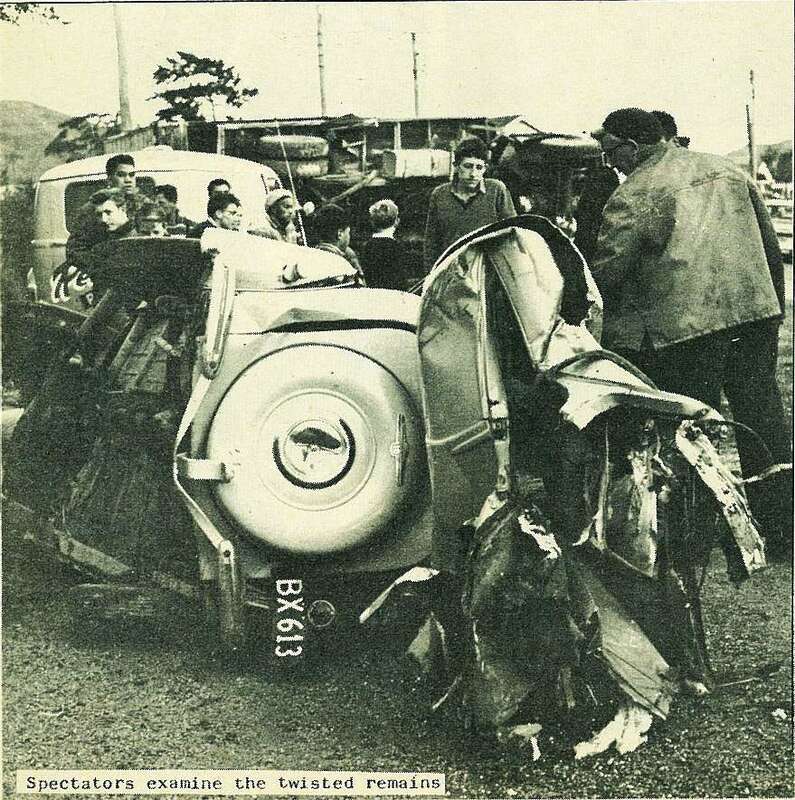 In the impact, and its subsequent rolling, the car was wrecked beyond recognition. Its two occupants were thrown clear, and were rushed to hospital in a serious condition. The truck driver escaped with little injury. 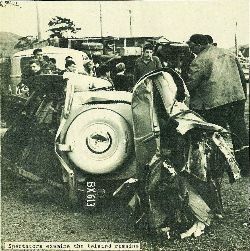 The scene in Wainui Road shortly after the accident with the truck on its side and the remains of the car at extreme left. 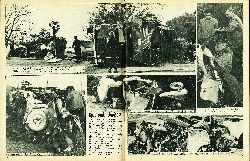 Note the policeman recovering a part of the car at centre left.